(CNS): Local construction firm Island Builders has won one of the first contracts in the projects on offer forming part of the For Cayman Alliance, a deal between government and Dart. The demolition works currently going ahead to strip the former Courtyard Marriot in preparation redevelopment of a new four/five-star hotel on the site is being down by more than sixty local workers. Dart Enterprise Contracting Company (DECCO) hired the local firm owned by Dean and Jennifer Scott who say people have been turning up to the site on a daily basis looking for work. The premier who has stated on several occasions that the deal will help kick start the economy and get people back to work said that the alliance would create wealth and jobs. “At the core of the ForCayman Investment Alliance is my government’s belief that the best strategy for achieving sustainable growth in the Cayman Islands’ economy is to encourage the private sector to do what it does best, create wealth and generate jobs,” Bush said. “The work currently taking place at the former Courtyard by Marriott is an example of this strategy in action. Over 60 Caymanians have work because a local company won the contract for demolition works. “ForCayman will generate many more projects, which in turn will generate many more jobs. This work at the hotel is just the beginning and my government will continue to push forward with its negotiations so that our whole country can benefit, in one form or another, from this visionary alliance,” he added. Dart also said that Island Waste Carriers have been awarded the contract to remove the waste and MEPCO for temporary site electrics. The redevelopment of this former Courtyard Marriot is part of a deal which has raised controversy as it will include a major swap of crown land and the closing of the West Bay Road. Dart has offered the government land in the Barkers area and West Bay, to finance and construct the Esterly Tibbetts highway to Batabano in West Bay, the enhancement of the existing Seven Mile public beach and a second public beach North of the new resort development in exchange for the 2000 foot stretch of West Bay Road land which will turn the developer’s plan project into a beachfront resort. (CNS): Although no agreement has been signed between it and the government, local investor and developer Dart is beginning work on the Esterly Tibbetts extension “in good faith”, Jackie Doak, the firm’s CEO, said on Tuesday evening. During the groundbreaking ceremony for the public road at Batabano, she said that even though a full agreement had not yet been reached, Dart was prepared to start the road to get people back to work with the expectation that a deal would be signed. Doak also committed to preserving any rare or endangered, culturally significant and mature plants and trees for transplanting as the land clearance for the road went underway. The Dart boss said she expected some people would question the decision to commence the road works, at some levelof risk to the firm, before there is a signed agreement. “At Dart we are prepared to get started with the preliminary works as a way to help get people back to work and start engaging local companies now,” she said. “We do so in good faith that the main agreement and the related smaller separate agreements will be signed,” she added. She told the audience gathered for the groundbreaking event that Dart was fully committed to the alliance with government as it was good for government, good for Dart and good everybody. The road marked the official start of a number of projects under the ForCayman investment alliance that she said would stimulate the economy in the short term but in the long term would set out the conditions for sustained economic prosperity. She said that while the road would benefit the whole community, she admitted that it would also provide access for the recently acquired properties of Dart. Doak also revealed that the work packages and requests for proposals would soon be circulated among the local business community by DECCO, Dart’s construction company. She said the critical work of clearing the undergrowth and prepping the land would now start. She said the plants to be transplanted would be identified by the nursery staff during this period. Is the ForCayman alliance with the Dart Group a good thing for the Cayman Islands? (CNS): A power outage in North Side, Grand Cayman in the early hours of Monday morning remains a mystery the local electricity company has said as the cause of the interruption is still under investigation. CUC said that at 2:30am Monday, around 600 customers from the Old Man Bay Playing Field to Rum Point in Cayman Kai were affected by the power cut. 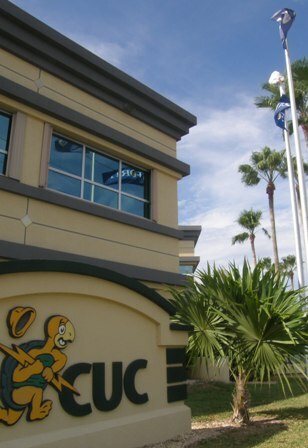 The power was off for around three hours as CUC was able to restore the supply at 5:24am. Offering apologies to its customers in the North Side area the power firm said it did not yet know what had caused the problem and the circuit is still under investigation. “CUC regrets the inconvenience to customers in the affected areas,” the firm said, adding that customers experiencing power outages should call the Company’s 24-hour fault reporting number at 945-1CUC (1282). (CNS): Having changed the layout of the East End location Foster’s Food Fair says that the Express Store at the Morritt’s Shopping Centre is carrying more goods, has a more efficient check-out and a more open feel for shoppers. In a release informing the community about the changes the supermarket said the stores aisles are no longer diagonal but vertical as in the larger stores. “With that change the store looks a bit more open and provides easier access for customers to shop through the aisles. Also the aisles have been elevated giving Foster’s the opportunity to widen the variety of products available at the Express Store,” Fosters said. The shop now carries hundreds of new items which have been added to the existing inventory. The deli has also been replaced with a coffee counter where customers can get fresh patties and hot coffee/tea and the checkout lanes have also been changed expediting the process. “We will continue to find ways to improve our business and continue to serve our customers better. We thank our customers for their continued support and we look forward to serving you from East End to West Bay,” a spokesperson said. (CNS): The National Building Society of Cayman is going after new business at the earliest opportunity by encouraging youngsters to start saving. The society will be launching its new junior savings products, the Student saver account aimed at school children aged 10 years and over as well as the Destiny savings account which it said is designed for college students 17 years and up, at a special family fun event this weekend. Having teamed up with other local businesses for a back to school event the society will be promoting the new accounts with prizes such as Blackberrys, “staycations”, MP3 players, back to school supplies and more, it said. Officers of the Building Society will be on location to explain the details of these accounts to students and to open accounts on the spot for those who bring photo ID. The family fun day on Saturday is in association with Digicel, Cost U Less, JN Money Services, Tortuga Rum Co, Winners Circle, OneTreeFourFive Collection, Funky Tangs and It’s Your Party as a back to school saver at the Grand Caymanian Resort from 2.00 pm. The event will also feature a fashion show by OneTree FourFive Collection and Winner’s Circle, a kids fashion show by Its Your Party, Jet Skiing, BBQ specials by Blue Iguana Grill, drink specials for parents and students, compliments of Tortuga Rum Company, local entertainment, special guest appearances and free giveaways. The society said it was inviting parents to take advantage of the opportunity to open accounts for their children to start the savings habit early. The accounts will earn interest of 0.5% per annum and once the account balance grows to a certain level the account holder will be eligible for the rewards loyalty programme which guarantees special discounts from select business places. (CNS): Local telecommunications company LIME said that it is on schedule to complete its 4G network across all three Cayman Islands by the middle of September and has already switched on the service around Seven Mile Beach. Tony Ritch the General Manager of LIME Cayman Islands said that because the team had been working around the clock the company was ahead of schedule and it means that Grand Cayman will be completed by the end of August and Little Cayman and Cayman Brac by the first two weeks in September. “We’ve launched 4G along the Seven Mile Beach corridor of Grand Cayman” said Tony Ritch, General Manager of LIME Cayman Islands. “I promised customers back in May at the Ritz Carlton that LIME would be bringing 4G, world-class cutting edge technology to the Cayman Islands and today (Wednesday 17 August) I’m delighted to tell you that we have switched on the first sites,” he added. The company said that existing devices will work on the network and to ensure customers are getting the optimum speed they are asked to go to their mobile phone settings, select Mobile Network Options and click on 2G & 3G. It stated that customers will immediately notice the difference in download speeds and how quickly they can open files and stream video. At present as the service is only operating in the Seven Mile Beach corridor as users move away they should not notice any difference as the network is set up to give a smooth handover back to Edge. LIME has also launched new plans starting at just $40 and the firm says it has “slashed” its data cost from as much as $3.59 per MB to just 30 cents per MB. LIME has always led the way in the Cayman Islands, we are a company of firsts and we are first to bring our customers 4G not just in selected areas but we are rolling this out nationwide,” he said. 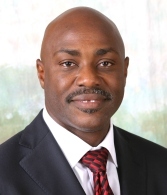 (CNS): The former manager of the Cayman Islands Development Bank has launched the Caribbean’s first independent financial counselling website, which he hopes will become a regular source for financial advice and other finance related information throughout the region. With various categories of membership, some free and some paid for, the goal of LCMoneyPlan.com, says Ralph Lewis, is to empower its members with financial tools and knowledge so they will be able to take control of their finances, and in turn their lives, whilst maintaining a high level of confidentiality and integrity. LCMoneyPlan’s financial toolbox provides a range of tools designed to develop financial control and freedom. Members will also have access to information on local financial institutions’ products and services in a central location, and in addition, the site’s online blog, the Financial Angle, gives members the opportunity to share objective views and comments on finance related matters. Access to a counsellor will be through a range of channels, which include email, online chat, telephone and video interviews. Visitors to the site can register within four classes: Free, Student, Green and Blue. The green and blue classes require a quarterly membership fee of $30 and $50 to gain access to the additional benefits which, Lewis says, members will find extremely useful. LCMoneyPlan’s services include a students’ club which has been designed to give basic financial management training to high school and university students free of cost. The goal is to assist them in prioritizing their personal expenses with the use of a “New Employee Expense Prioritization tool”. “Furthermore, we know how hard it is for our graduates to find new jobs and so we have included a ‘Job Search’ tab which lists all local available jobs for graduates,” said Lewis. 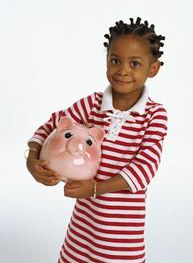 Lewis Consulting, the parent company for LCMoneyPlan.com was established in January 2010 to provide one-on-one financial counseling support for individuals. However, according to Lewis, the current economic conditions prompted a review in business strategy, giving birth to the decision in March 2011 to launch online financial counselling services. "The provision of the service via this avenue addresses for customers the aspects of affordability, accessibility and privacy and for the business the ability to reach a wider cross section of clients," he said..
(CNS): As soon as next year television viewers in Cayman may be able to access several hundred television channels from around the world, via the island’s very own fibre optic cable network, brought to the island by Infinity Broadband. Local businessman and owner of Infinity Broadband and Hurley’s Entertainment, Randy Merren, says that although there are still regulatory hurdles to be overcome, he is confident that they will begin the build out for the cables for his new television network next year, with customers receiving the new cable TV service soon after. He estimates the entire build-out operation will take around two years to complete. “75 per cent of all properties will be able to access the initial range of services within 18 months from the start of the build-out, and 95 per cent within 24 months,” he confirms. Not only will customers get the choice of hundreds of channels, they will also be able to view 3D-TV, enjoy pause and rewind live programming and time shifting which will allow viewers to replay a TV programme that was broadcast hours or days after it originally aired.Customers will also have the ability to watch one programme while recording two others and they will be able to watch TV on laptops, iPads and other tablet devices while at home. Infinity Broadband has just signed a memorandum of understanding with an as yet unnamed overseas strategic partner, giving the company the go ahead to take the next steps in rolling out the new service, which also includes high speed internet and telephone service via IP (internet protocol). He adds that he is currently considering two locations in George Town, one on Walkers Road and one in the Industrial Park, where the core of the system will be housed. Merren says he believes the service will be good for the island as Cayman is one of the last places in the Caribbean that does not have its own cable television network. Merren says Infinity Broadband has contacted several content aggregators, i.e. 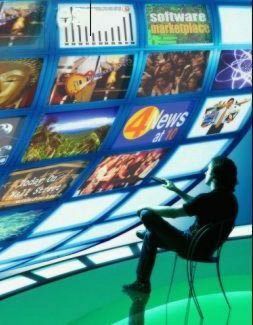 companies who sell packages of television stations to networks, to ensure that they will be able to offer a wide range of television channels to customers. In addition, all customer set-top boxes will have the capability to deliverHD-TV, Pay Per View and Video on Demand. (CNS): Consolidated Water Co Ltd which supplies customers in West Bay reported an increase in revenue of 17% in its second quarter results Tuesday. The firm said it made around $14.8 million compared to about $12.7 millionin the second quarter of 2010. The increase in sales was due to inflation and energy costs passed on to consumers it stated in a release. Rick McTaggart, Chief Executive Officer of Consolidated Water Co. Ltd also revealed that negotiations with the CI government over its franchise agreement had been inadvertently affected by government’s plans to privatise the water authority, but that the license had been extended until January 2010. 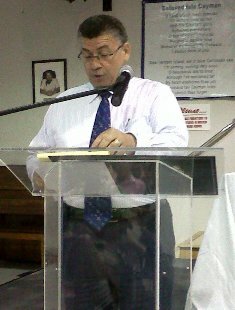 "Revenues and gross profit generated by our retail franchise operation in the Cayman Islands improved slightly from prior-year levels during the most recent quarter, primarily due to amodest inflation-related base rate adjustment in the first quarter of 2011 along with higher energy pass-through charges," McTaggart stated. "Last month, we were notified by the Cayman Islands government that it has extended our existing retail water franchise in Grand Cayman until January 31, 2012. This extension provides additional time to negotiate a new franchise agreement based on a 'rate of return on invested capital' rate model that is much more complex than the existing inflation-indexed rate model that we have used for more than 30 years,” he added. He also revealed that the new water legislation enacted in January this year to facilitate the privatization of government-owned water and wastewater systems had impacted ongoing franchise negotiations. “The Cayman government has assured us that it did not intend for this legislation to affect our negotiations, and we are currently working with the government to resolve this issue,” McTaggart revealed. According to the results retail water revenues increased 9% for the firm to $6.6 million during the most recent quarter, compared with approximately $6 million in the three months ended June 30, 2010. 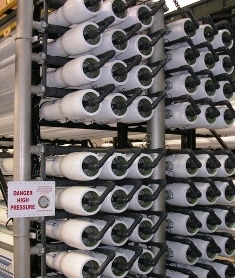 The increase in retail water revenues was attributable to a 2% inflation-related increase to base rates effective January 1, 2011 due to an upward movement in the price indices used to determine such rate adjustments, along with higher energy prices in 2011 that resulted in an increase in energy pass-through charges to the Company's retail customers. Bulk water revenues increased 25% to approximately $7.8 million, compared with approximately $6.2 million in the year-earlier quarter, reflecting a 5% increase in the volume of water sold and energy pass-through charge increases to the Company's customers due to higher energy prices. The increase in net income for the second quarter of 2011 primarily reflected higher revenues, an increase in gross profit margin to 35% of revenues in the second quarter of 2011 versus 33% of revenues in the prior-year quarter, and the absence of prior-year costs totalling approximately $403,000 related to liquidated damages and cost overruns associated with the refurbishment of the Red Gate plant for the Water Authority – Cayman. The sharp improvement in gross profit in the services segment, when compared with the prior-year period, resulted from an increase in services revenues in the second quarter of 2011 and a one-time reduction in gross profits of approximately $403,000 during the second quarter of 2010 that was related to liquidated damages and cost overruns associated with the refurbishment of the Red Gate plant, the firm stated. Interest income increased 4% to $314,292 in the most recent quarter, versus $302,040 in the 2010 quarter, due to interest earned on the loan receivable from the Water Authority – Cayman arising from the refurbishment of its Red Gate plant. Interest expense declined 14% to $343,913, versus $398,822 in the second quarter of 2010. We take comfort in our financial condition, especially during this time of global economic uncertainty that has disrupted equity markets worldwide in recent weeks. Our operating activities generated net cash of approximately $24.8 million over the last three fiscal years and an additional $7.9 million during the first half of 2011. On July 31, 2011, we paid our third quarterly cash dividend this year of $0.075 per share to ourshareholders. Our most recent cash dividend equates to an annualized yield of approximately 3.8%, based on our closing stock price on August 8, 2011," he added. (CNS): The premier outlined what he said was the "critical importance" of government’s deal with the Dart group of companies at a packed meeting in West Bay last week. From land swaps to provide room for expansion of a West Bay private school to money to help pay mortgages, McKeeva Bush said the ForCayman alliance was a good deal for everyone in the country. He acknowledged that some people may not agree, whether for environmental or other reasons, but he said that government had to do something to get the country out of the current difficult economic situation. Bush said he did not believe in just talking about the problem but believed in “doing something”. Listing the various elements of the complex deal between the developer and the government that involves crown land swaps, the relocation of the dump and the closure of a stretch of the West Bay Road, Bush also revealed that there would be money to pay people’s mortgages as many had reached the point beyond what they could manage. Bush did not specify how the cash would be allocated but said around $2.5 million of a cash donation of around $18 million that Dart is making as part of the package will go towards mortgage arrears. He said many people were losing their homes as the banks were stepping in, albeit reluctantly, but he said they were taking people to court because they were so far behind with their mortgages and no hope of paying the arrears. The Caymanian people were suffering, Bush told the West Bay audience of more than 150 people on Thursday evening, “far beyond what they can endure” and government has to find a way to “help people get back on track,” he added. The premier stated that he believed that the ForCayman alliance represented a partnership for recovery and said Dart had demonstrated its commitment to Cayman and this was a good deal for everyone. He explained that it takes a long time to get projects on track and the people back to work but that he believed this partnership to revitalize Cayman’s economy was absolutely necessary. As he spoke about what the deal entails he stated that Dart had to get incentives in order to make the investment and start the infrastructure projects that would create jobs. Bush explained that the full package was not yet a done deal as government and the developer were working out the finer details and he was trying to get more for the people before it was signed. He said he wished it was already agreed so that things could get moving, but the government had to make sure that the deal was fair to all concerned. One of the key elements of the deal includes a land swap with government in order to allow Dart to move 2000 feet of the West Bay Road in order to develop the former Courtyard Marriott site into a new four, or possible five, star resort which will become a beach front property. This crown land swap, it is believed, will triple the value of the land that Dart now owns in that area. In exchange, the developer will be giving government land in Barkers and in West Bay, which government appears to have earmarked for a private school – Grace Christian academy – to expand, and a donation of some $18 million in cash, which will be used to go towards the primary school redevelopment project and the new mortgage assistance programme. Dart will also purchase the land needed for the extension of the Esterly Tibbetts Highway into West Bay up to Batabano and pay for the cost of constructing the new road. A second major element of the deal is the swap of the current landfill, which Dart will cap and remediate addressing the leaching into the North Sound, a long standing problem. The former dump will eventually become a recreation area once it is safe after the remediation work has been completed. In exchange for that land, which is adjacent to Camana Bay, Dart has purchased land in Bodden Town on which it plans to create a new modern landfill site that will be managed and operated by government, which is expected to include recycling and composting. Dart has also committed to building out more of its planned residential phases in Camana Bay, creating jobs and opportunities for local business as well as extending the existing public beach, creating another public beach north along the West Bay Road, more parks and other charitable donations. For well over two hours representatives from Dart and government, including Education Minister Rolston Anglin and back bencher Cline Glidden, who is government’s key negotiator with Dart, talked to the crowd about the project and its various elements. Jackie Doak, CEO of Dart, outlined the company’s history in Cayman and its record of employing Caymanians and giving back to the community. The presentation received a mixed response, with many people offering their support to the project. However, key queries included why so much of the West Bay Road needed to be moved when the hotel site could be turned into a beach front resort with the closure of a much shorter stretch, an answer which was lost in the melee of the evening’s crossfire and never answered, as well as queries about the donation of land to Grace Christian Academy. Some members of the audience queried how a donation of land to a private school could assist everyone, given that most people would be unable to pay school fees, and asked why it could not be put towards the planned Beulah Smith High School. The minister said government didn’t have the money to either construct or run a new public school but indicated that by assisting a private school it would ease the pressure in West Bay. He did not say if government intended to pay the fees of local children to attend that school once it was built or if scholarships would be available. The audience was also told that the deal with Dart would be legally binding and any subsequent government would have to honour the final agreement that the current administration intended to sign.